Next City announces the start of our Summer 2018 Emma Bowen Fellow, Brianna Williams. 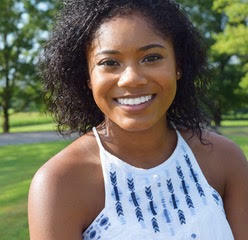 From Newark, Delaware, she is a rising senior at Penn State majoring in media studies. She intends to graduate in May 2019. As a student at Penn State, Williams has been a member of the Public Relations Student Society of America, the College of Communications Student Counsel and most recently Happy Valley Communications — a student run communications firm. She is also a member of Gamma Phi Beta sorority. Her most recent semester was spent abroad in Barcelona, Spain, studying European media, politics and Spanish. Williams plans to cover an array of current issues affecting the cities of America. “I’m looking forward to covering the ongoing gentrification taking place in almost every major city right now — and more specifically the cultural impact of gentrification,” she says. This is Next City’s first year in partnership with the Emma Bowen Foundation. The Emma Bowen Fellowship is for minority students in communications and media to prepare students for the media industry and promote diversity within it. Although minorities represent more than half the population of the 10 largest U.S. cities, they are vastly underrepresented in the media. This fellowship aims to bring underrepresented voices to the online conversation about cities. In addition to the Emma Bowen Foundation’s support, this internship was made possible by the many Next City members who donated in May 2018. Find all of Brianna’s work on her author page.